The widow of a Nigerian activist Dr Barinem Kiobel is suing oil giant Shell over the execution of her husband says his death left her “traumatised” and “poverty-stricken”. AKUKU-TORU, Nigeria (Reuters) – Hundreds of Nigerians stormed a crude oil facility and gas plant owned by Shell in the Niger Delta on Friday demanding jobs and infrastructure development, a Reuters witness said. On November 10, 2018, Nigerians at home and abroad took to various social media platforms and online publications to celebrate the life and achievements of Ken Saro Wiwa and the other eight activists murdered by the military-led government of the late General Sani Abacha. His post-humous birthday was precisely a month before. He would have been 77years. Ken Saro Wiwa and the 8 activists executed on the 10th of November 1995 died for freedom, equity, justice, and fairness; principles that sadly are lacking in the country till this day. While he was not the only one murdered on the 10th of November 1995, he was the president of the group demanding a better life for their town and the most outspoken of the lot. The group is the Movement for the Survival of the Ogoni People (MOSOP) and the other eight activists murdered were Saturday Dobee, Nordu Eawo, Daniel Gbooko, Paul Levera, Felix Nuate, Baribor Bera, Barinem Kiobel, and John Kpuine. These nine men in their lifetime fought for equity, justice, fairness, and freedom. All they wanted was a better life for the inhabitants of their land, the Ogoniland. The oil extraction activities by Shell had polluted the land, and despite the fact that it was one of the major oil spots, the people were compensated next to nothing. Their means of livelihood disappeared with each drill into the ground, but no one thought of creating other avenues through which they could make a living. 23 years after, it seems that he was wrong. The message of justice, equality and fairness seem to have been lost. Till date, Ogoniland remains heavily under-developed, even though governments have made a show of trying to bring about change to the land. The Ogonis are still marginalized. But the damage is not restricted to Ogoniland. It is the daily reality of many other areas in the Niger-Delta region where oil is majorly concentrated. A lot of the communities are battling with pollution from the extraction activities and remain grossly underdeveloped in spite of what is taken from them. Security continues to be a major challenge as militants have taken over the creeks in the region. However, the saddest part of this story is not the problems that have been highlighted above. It is not the message of fairness, equity, justice and freedom that have been lost. It is the fact that the people of the Niger-Delta region seemed to have turned on themselves, inflicting a pain and sorrow far greater than what the government or the oil corporations have caused over the years. In this investigative article by the Cable, it is revealed how natives illegally siphon oil and then try to refine it using crude methods that lead to a lot of toxic waste. Because they are operating illegally, safe disposal of the waste is not an option. As a result, they are left on the ground and flow into the water, polluting these resources and rendering them incapable of supporting life. And so the vicious cycle continues. The government, more interested in the gains of crude oil than in the people does not ensure stricter safety procedures by the oil companies or development of the land. The oil companies, having a seemingly free reign over the land exploit it to the disadvantage of those living there. The people, frustrated by the (in)actions of the government and the oil companies, take the law into their own hands, involving themselves in illegal activities such as kidnapping and illegal oil bunkering. Unfortunately, they remain the biggest losers. In the midst of all this melee, equity, justice, freedom, fairness, and development have become elusive realities for the people of Ogoniland, the Niger-Delta region and by extension, Nigeria. We all stand on trial,…, for by our actions we have denigrated our Country and jeopardized the future of our children. As we subscribe to the sub-normal and accept double standards, as we lie and cheat openly, as we protect injustice and oppression, we empty our classrooms, denigrate our hospitals, fill our stomachs with hunger and elect to make ourselves the slaves of those who ascribe to higher standards, pursue the truth, and honour justice, freedom, and hard work. I predict that the scene here will be played and replayed by generations yet unborn. Some have already cast themselves in the role of villains, some are tragic victims, some still have a chance to redeem themselves. The choice is for each individual. The Ogoni Nine were a group of nine activists from the Ogoni region of Nigeria who opposed the operating practices of the Royal Dutch Shell oil corporation. Their members included outspoken author and playwright Ken Saro-Wiwa, Saturday Dobee, Nordu Eawo, Daniel Gbooko, Paul Levera, Felix Nuate, Baribor Bera, Barinem Kiobel, and John Kpuine (Tripathi, p.189), who were executed by hanging in 1995 by the military dictatorship of General Sani Abacha and buried in Port Harcourt Cemetery. The executions provoked international condemnation and led to the increasing treatment of Nigeria as a pariah state until General Abacha’s mysterious death in 1998. 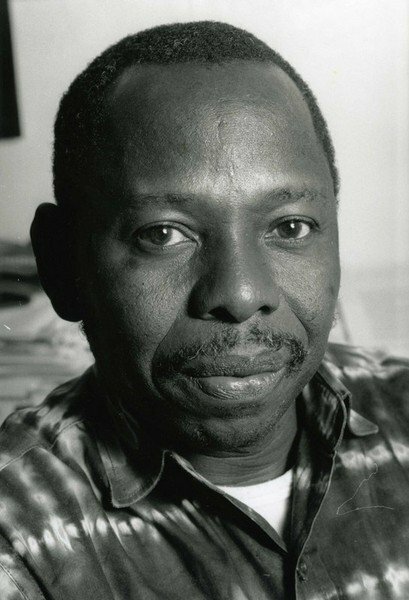 Saro-Wiwa had previously been a critic of the Royal Dutch Shell oil corporation, and had been imprisoned for a year prior to the executions in November 1995. At least two witnesses who testified that Saro-Wiwa was involved in the murders of the Ogoni elders later recanted, stating that they had been bribed with money and offers of jobs with Shell to give false testimony – in the presence of Shell’s lawyer. In 1996, the Center for Constitutional Rights sued Shell for its complicity in human rights abuses against the Ogoni people, such as colluding with the Nigerian government to bring about the arrest and execution of the Ogoni Nine. In June 2009, on the eve of trial, the parties agreed to a settlement providing a total of $15.5 million to compensate the plaintiffs, establish a trust for the benefit of the Ogoni people, and cover some of the legal costs and fees associated with the case. The late famous environmentalist, Ken Saro-Wiwa was synonymous with the Movement for the Survival of the Ogoni People (MOSOP). He was born on October 10, 1941 and became the President of MOSOP on July 6, 1993. As a result of his agitation against the backwardness of his people and land due to environmental degradation resulting from oil exploration, Ken Saro-Wiwa was hanged at the Port Harcourt Prisons on Friday, November 10, 1995, along with eight other Ogoni martyrs. They were Dr. Barinem Kiobel, John Kpuinem, Baribor Bera, Felix Nuate, Paul Levura, Daniel Gbokoo, Saturday Doobee and Nordu Eawo, during the regime of the late Gen. Sani Abacha. Before his death, Saro-Wiwa had said: “The Ogoni took stock of their condition and found out that, in spite of the stupendous oil and gas wealth of their land, they were extremely poor, had no social amenities, unemployment was running at over 70 per cent and they were powerless, as an ethnic minority, in a country of over 100 million people, dispersed in over two hundred nations and ethnic groups, to do anything to alleviate their condition. On June 21, 1993, Ken Saro-Wiwa was arrested and detained in Owerri, together with two other MOSOP activists namely N.G. Dube and Kobari Nwile. Criminal charges were brought against them for belonging to MOSOP. Prior to his arrest, Ken Saro-Wiwa had travelled to The Hague in Netherlands in July 1992 where he registered MOSOP with the Unrepresented Nations and Peoples Organisations (UNPO), whose charter was embedded in non-violence. Ken Saro-Wiwa also brought the suffering of his people to the attention of the United Nations Working Group on Indigenous Populations in Geneva, Switzerland and made useful contacts with international environmental groups and business organisations such as the London-based Body Shop International, whose founder and chief executive, Anita Roddick, had long been involved in such campaigns as MOSOP was pushing in Nigeria. The environmentalist declared that gas flaring had destroyed the flora and fauna of the land, polluted the atmosphere and poisoned the inhabitants of the surrounding areas whose inhabitants suffer from partial deafness and respiratory diseases. The people also accused SPDC and some Ogoni elders of sabotaging the efforts of MOSOP. On May 21, 1994, Ogoni leaders, namely Chief Edward Kobani, a former Commissioner in the Rivers State Government, who had resigned as Vice-President of MOSOP, along with Dr. Garrick Barile Leton (MOSOP’s pioneer President); Albert Badey, an ex-Secretary to the Rivers State Government (SSG); Samuel Orage, a former Rivers State Commissioner; and Theophilus Orage, an ex-Secretary of the Gokana Council of Chiefs; (Ogoni-four), who had earlier been labelled “vultures” by some Ogoni people, were allegedly murdered in a mob raid at Giokoo in Gokana Local Government Area during a meeting at the Gbenemene’s (King’s) Palace Hall. Two prominent Ogoni leaders: Alhaji Mohammed Kobani, brother to Chief Edward Kobani and Mr. Francis Kpai, who were also at the Giokoo meeting, escaped from the mob action and ran from the king’s palace into the ancestral shrine: Gberesaako, of the Gokana people. 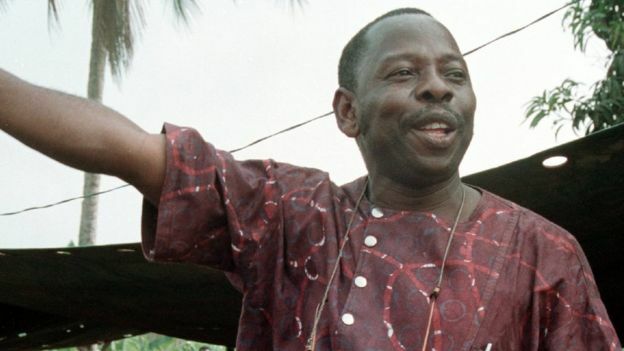 On May 21, 1994, Ken Saro-Wiwa; Ledum Mitee, Dr. Barinem Kiobel and 12 others were arrested by soldiers and accused of been instigators of the Giokoo mob action and the murder of the four prominent Ogoni sons. The Justice Ibrahim Auta-led Ogoni Civil Disturbances Tribunal, set up by the then Head of State, Gen. Sani Abacha, was inaugurated by the then Chief Justice of Nigeria (CJN), Justice Mohammed Bello, in November 1994, to try the 15 Ogoni men, who were charged with the killing of the Ogoni-four. The trial commenced in February 1995. The Justice Ibrahim Auta-led tribunal tried the Ogoni-Nine namely Ken Saro-Wiwa, Dr. Barinem Kiobel, John Kpuinem, Baribor Bera, Felix Nuate, Paul Levura, Daniel Gbokoo, Saturday Doobee and Nordu Eawo and convicted them the trumped-up charge of murder of the Ogoni-four, sentenced them to death by hanging on October 31, 1995, while Gen. Abacha, confirmed the death sentence on November 8, 1995. They were hanged at the Port Harcourt Prisons in the morning of Friday, November 10, 1995. On September 1, 1995, Ken Saro-Wiwa, in his pre-conviction statement to the Justice Ibrahim Auta-led Ogoni civil disturbances tribunal, entitled “Shell is Here on Trial,” said: “My Lord, since my arrest on the 21st of May, 1994, I have been subjected to physical and mental torture, held incommunicado and denied food for weeks and medical attention for months. My 74-year-old mother has been whipped and arrested, my wife beaten and threatened with detention. The three telephone lines to my office and residence cut and they remain cut to this day. My office and home have been ransacked on three different occasions and personal and family property, official files and documents taken away without documentation. “I have been calumniated in the press and on satellite television before the world by a Rivers State Government anxious to prejudice the mind of the public and to convince the public of my guilt, even before trial. “The fact that a case of homicide is being charged before a tribunal, set up under Decree No. 2 of 1987, speaks for itself. I am aware of the many strictures laid against the decree and this tribunal by local and international observers. “All the same, I have followed the proceedings here with keen and detailed interest, not only because I am charged before this tribunal, but also because, as a writer, I am a custodian of the conscience of society. “I regret that the legal counsel I freely chose, Gani Fawehinmi, the human rights hero and pride of this country, was forced to withdraw. His withdrawal has denied credibility to this trial. “My Lord, we all stand before history. I am a man of peace, of ideas. I am appalled by the denigrating poverty of my people, who live on a richly-endowed land, distressed by their political marginalisation and economic strangulation, angered by the devastation of their land, their ultimate heritage, anxious to preserve their right to life and to a decent living and determined to usher into this country as a whole, a fair and just democratic system, which protects everyone and every ethnic group and gives us all a valid claim to human civilisation. “I have devoted all my intellectual and material resources, my very life, to a cause in which I have total belief and from which I cannot be blackmailed or intimidated. “I repeat that we all stand before history. I and my colleagues are not the only ones on trial. Shell is here on trial and it is as well that it is represented by a counsel said to be holding a watching brief. The company has, indeed, ducked this particular trial, but its day will surely come and the lessons learnt here may prove useful to it, for there is no doubt in my mind that the ecological war the company has waged in the Delta will be called to question sooner than later and the crimes of that war be duly punished. The crime of the company’s dirty war against the Ogoni people will also be punished. “On trial also is the Nigerian nation, its present rulers and all those who assist them. Any nation which can do to the weak and disadvantaged, what the Nigerian nation has done to the Ogoni, loses a claim to independence and to freedom from outside influence. “I am not one of those who shy away from protesting injustice and oppression, arguing that they are expected of a military regime. The military do not act alone. They are supported by a gaggle of politicians, lawyers, judges, academics and businessmen, all of them hiding under the claim that they are only doing their duty, men and women too afraid to wash their pants of their urine. Despite the hanging of Ken Saro-Wiwa and eight other Ogoni martyrs, the non-violent agitations/struggle by Ogoni people; adequately coordinated by the leadership of MOSOP, are continuing to ensure justice, equity, fairness and commensurate development of the neglected Ogoni land and empowerment of the marginalised people.